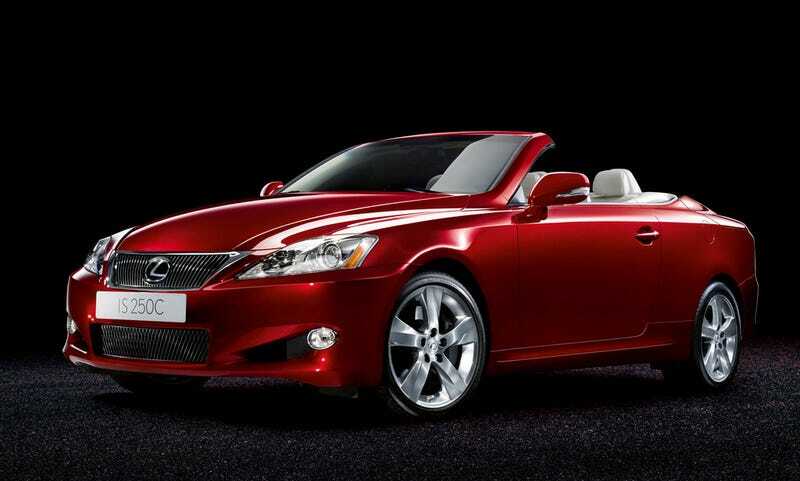 The main distinction lest you think this is actually a badge engineered Solaris convertible is that the IS 250 C has a folding metal hard top, that and of course it is RWD instead of FWD and was offered with a stick. Used ones are now going for around $20k, I for one find that intriguing. In fact here is a 2010 with a manual for $23k, name me another RWD, V6, 6-speed metal folding roof convertible you can have for that price?